Luxury and elegance are key to modern home designs. 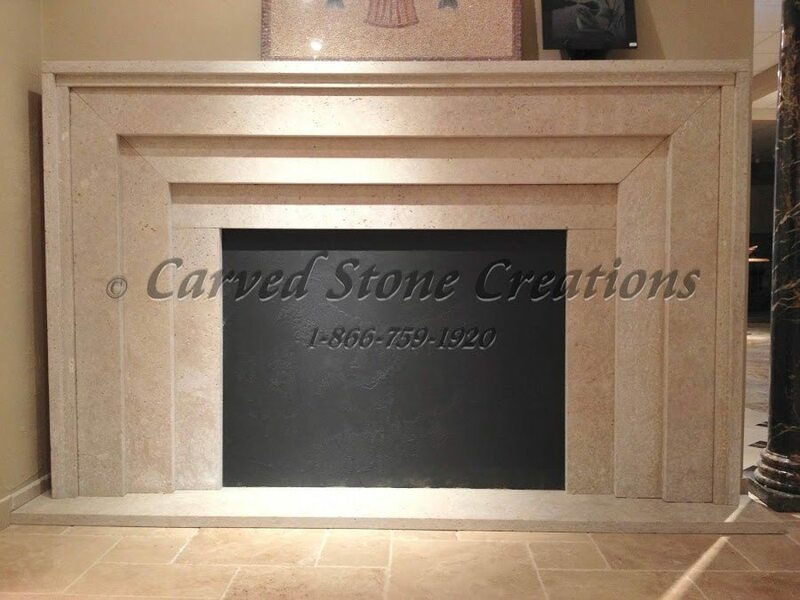 Send your home over the top and make it stand out with a one-of-a-kind stone fireplace. Take a look at three designs below. This design features four steps around the edges leading down to the firebox and roaring fire. The sharply mitered steps down, make it feel like you are looking into a tunnel when gazing at this modern fireplace. 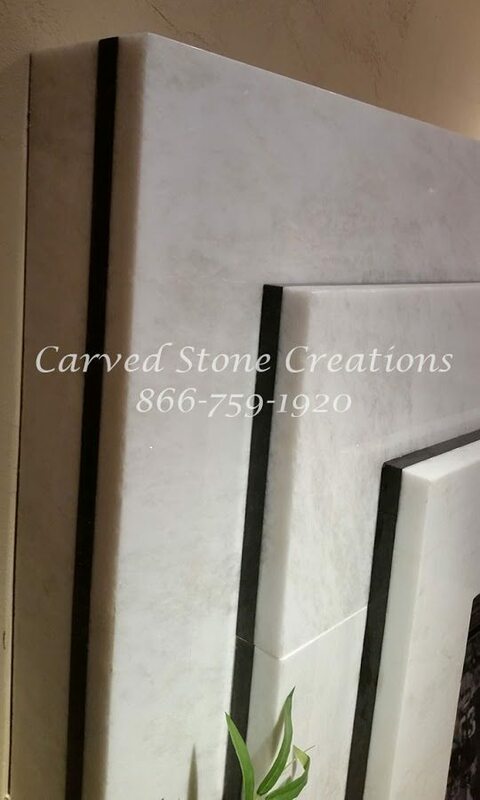 The neutral color of the St. Croix Valley limestone finishes off this sleek design. 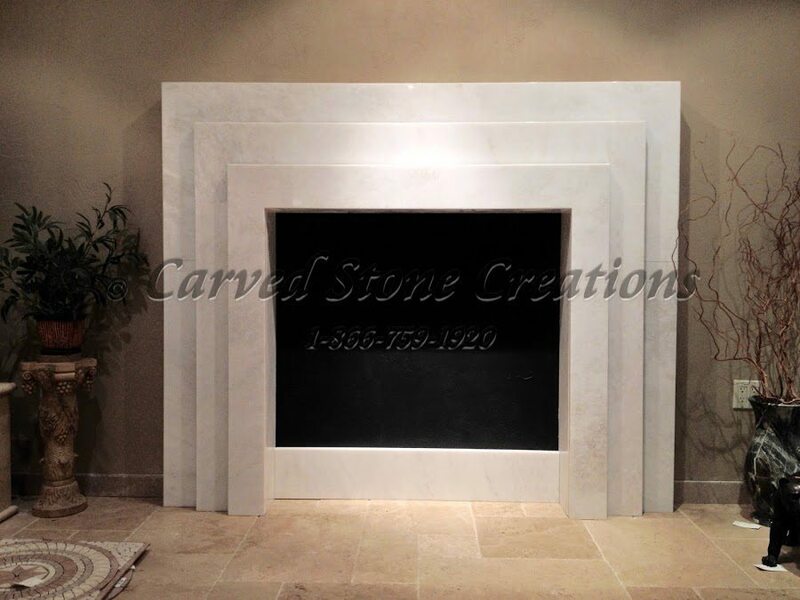 This bright white marble fireplace will be the highlight of your modern home design! This fireplace features three steps down from the firebox. If you look closely, youll notice shiny Absolute Black granite details between each step. The whole piece is polished to perfection. Simple, modern design meets timeless marble beauty in this fireplace! It features uncomplicated yet elegant handcarved details and sharply mitered corners. The Sahara Gold marble stone features beautiful color variations and veining. 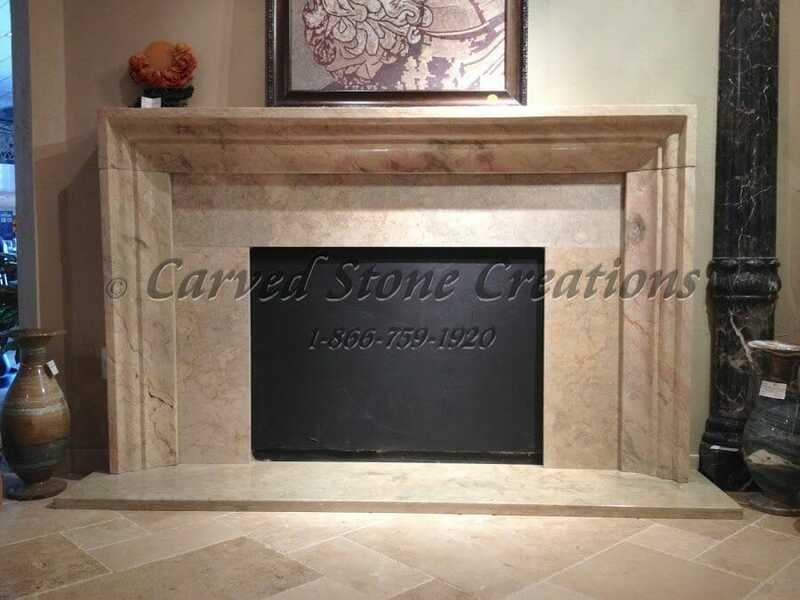 Did you know we can create the custom fireplace of your dreams? Contact us to start the design process.